Rwanda’s national football team Amavubi will fly to Kenya this Friday December 01, for the 39th edition of CECAFA Senior Challenge Cup slated to start on Sunday December 03, to December 17, 2017. Rwanda’s Amavubi are drawn in Group A with hosts Kenya’s Harambee Stars, Tanzania, Zanzibar and guest nation Libya. Rwanda’s men football team coached by German Antoine Hey Paul will play their first game against Kenya on Sunday before they face off Zanzibar on December Tuesday, prior to their match against Mediterranean Knights of Libya on December 07 to end their group stage games when they tie with Tanzania’s Taifa Stars on December 09. Rwanda will participate in the Council for East and Central Africa Football Confederations (CECAFA) senior challenge cup 2017, before they head to Morocco for the African Nations Champions (CHAN) 2017 slated to start on January 12, to February 4, 2018. Rwanda’s headcoach Antoine Hey has said that the regional competition to be held in Kenya will benefit him and his men as a preparation for the continental event in Morocco. “These are very important matches that we want to win. We have qualified for the CHAN tournament and we will use these games to prepare for the event, we need to play these games for the honor of the country and in terms of improving ourselves”, said Hey who was once Kenya’s national football team headcoach. Rwanda won the CECAFA Senior Challenge Cup only once. It was in 1999 when Rwanda B beat Kenya 3-1. 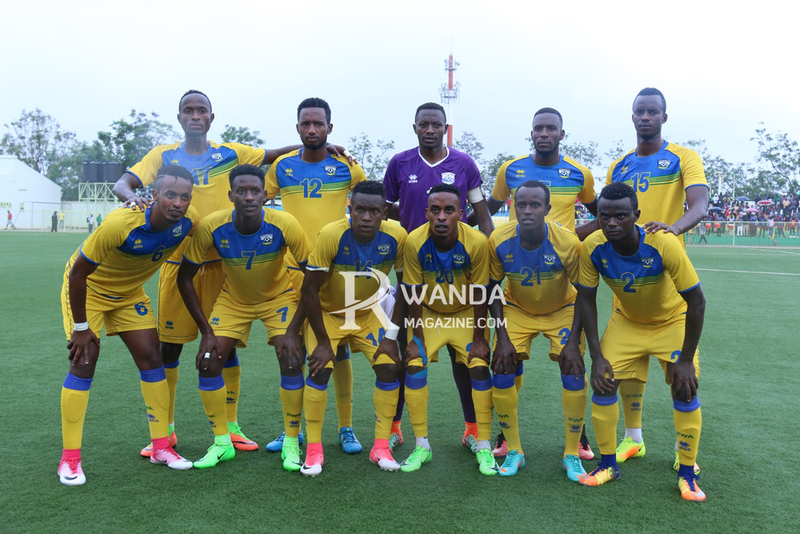 Rwanda had hosted the tournament and it was represented by two teams, Rwanda A and Rwanda B. Rwanda A won the third place as they beat Burundi by penalty shout-outs 3-2 after the 90 game minutes had ended in a goalless draw. Zimbabwe who were set to play as a guest team withdrew from CECAFA Senior Challenge Cup 2017 citing “security risks” in Kenya. They had been drawn in Group 2 with defending winners Uganda, Burundi, Ethiopia and South Sudan. Other member countries of CECAFA, Eritrea, Sudan and Djibouti have also pulled out of this year edition. Defenders: Rugwiro Herve (APR FC), Omborenga Fitina (APR FC), Imanishimwe Emmanuel (APR FC), Manzi Thierry (Rayon Sports), Usengimana Faustin (Rayon Sports), Rutanga Eric (Rayon Sports), Kayumba Soter (AS Kigali), Iradukunda Eric (AS Kigali) na Mbogo Ally (SC Kiyovu). Midfielders: Bizimana Djihad (APR FC), Hakizimana Muhadjiri (APR FC), Nshimiyimana Amran (APR FC), Mukunzi Yannick (Rayon Sports), Manishimwe Djabel (Rayon Sports), Niyonzima Ally (AS Kigali) na Niyonzima Olivier (Rayon Sports). Forwards: Nshuti Innocent (APR FC), Sekamana Maxime (APR FC), Mico Justin (Police FC), Biramahire Abeddy (Police FC).